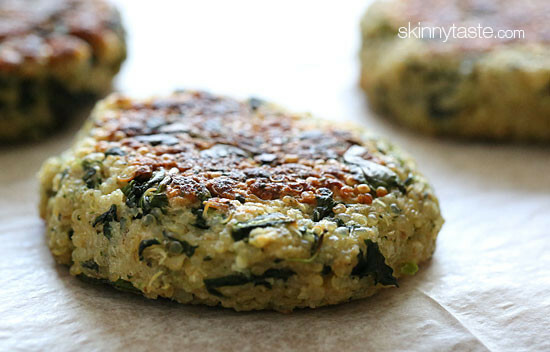 These quinoa patties are delicious, vegetarian and packed with protein and nutrients! They almost make me think I’m eating a chicken cutlet or meatball, without the meat. These actually made enough for several meals, so I had one topped with a poached egg for breakfast which was super yummy, and the rest I served as a main course for dinner with a big avocado salad and felt quite satisfied. I can’t help thinking how good this would be with melted cheese on top in place of a burger to make it more of a veggie-quinoa burger. May have to try that soon! 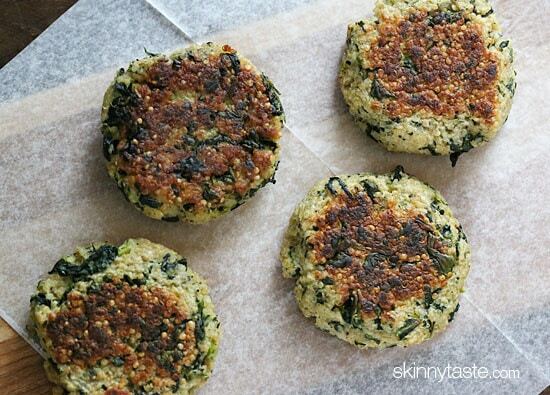 These patties are inexpensive to make, can be adapted for gluten-free diets, they are vegetarian which is also perfect for Meatless Mondays and are made with clean ingredients. 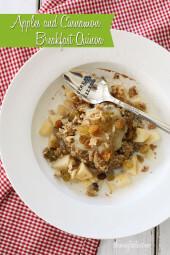 The recipe was adapted from Heidi Swanson’s cookbook Super Natural Every Day. Her original recipe calls for kale, but since I made them on a whim, all I had was spinach and that worked out just fine. My (meat-loving) husband even thought they were great. Rinse the quinoa thoroughly and place the grains in a medium sauce pan with 2 cups of water. Bring the water to a boil and reduce to a simmer. 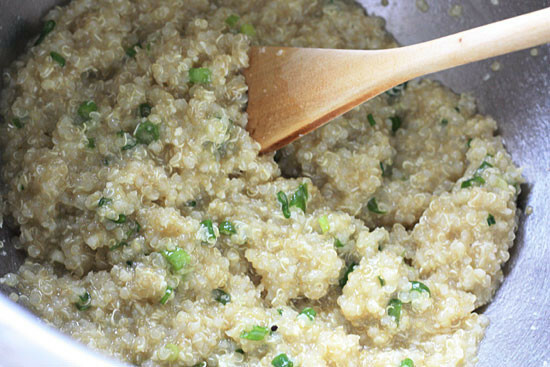 Cook until quinoa is tender and has absorbed the liquid, about 20 minutes. Let it cool. In a large bowl, combine the cooked quinoa, eggs, Parmesan, scallions, garlic, salt, steamed spinach, and breadcrumbs. Let everything sit for a few minutes to absorb the liquid. The batter should be moist, but not runny. Form patties 1/4 cup each. Heat the oil in a large non-stick skillet over medium-low heat. In 2 or 3 batches, cook the patties covered for 8-10 minutes on each side, or until browned and golden. 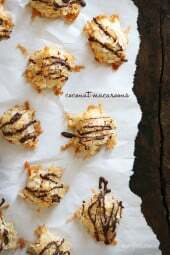 I made these yesterday and they’re great! When I put them in the WW calculator they come out to be 7…any ideas why? Thanks! These taste amazing in a burger to replace the meat!! Love this recipe. I did not have plain quinoa so I substituted with tri-color quinoa. Keep these great recipes coming???? Trying to avoid dairy. Can you sub nutritional yeast for Parm without sacrificing the taste? Is there any way to make these vegan? The recipe sounds really tasty. I’ve made this recipe several times and love it more each time. I have added black beans to my recipe. I agree that these freeze well and baked after thawing. A family favorite for sure! I also use health nut bread crumbs, red quinoa, and grated Romano cheese instead for more flavor! These freeze really well!I pack 2 in a freezer bag and nuke it with it slightly opened for one minute!Perfect quick meal on the run! Followed recipe exactly but I divided mine into 12 muffin tins and baked for 20 min at 350 degrees. Excellent results! 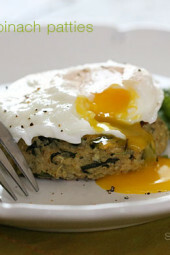 Topped with a poached egg like in the picture. Yums. We could not stop making yummy noises on Monday night when we had these combined with the Carrot Ginger Soup. The flavor is so full and the texture so fun. I had leftover ones packed into my lunch and they were so good I did not even wait to heat them up. Thanks for a winner that we will revisit. We kind of wondered if shredded zucchini that has been rung out thoroughly (to get rid of moisture) might also work as the veggie in this recipe? Very good! Crispy and flavorful. Can you suggest what to dip this in? Thanks! I have made these before & my husband raves about them. However, I’m in need of a few suggestions. I had the hardest time forming the patties because they kept sticking to my hands. I had to put oil on my hands to keep them from sticking, which increases the amount of oil used & the fat content (we are not on WW but trying to eat healthy & this is my go to website for recipes!) Any tips on how to prevent that? Did I stir the mixture too much & therefore it got too mushy? Also, I ended up using more than 1 tsp of oil to cook all the patties-took me 3 batches to cook them all. What can I do to reduce the amount of oil used? Non stick spray? Are those things healthy? To keep from sticking I just dipped my hands in water. What can I use as a binder instead of eggs? Can I just substitute egg whites? Just made these with gluten free seasoned breadcrumbs, grilled them on an olive-oil misted grill pan and topped with a little cheddar cheese. Scrumptious over salad greens for a quick protein powered lunch. Freezing the rest for the week. Thanks, Gina! Gotta say these are really good. I’ve made these several times. Made into balls for a party. Main issue is adding some flavor. I cook the quinoa in broth and add bullion for some flavor. Also add in fresh diced mushrooms, brown gravy mix and Sriracha sauce to spice things up. Also, forming into patties is kinda messy so I form the ball and press onto parchment paper. Gently lift the paper and turn the pattie into my hand and place in the skillet. I make a double batch every time and freeze them for quick meals. I just made these on the weekend. They ended up being a bit smaller so 2 worked out to 4 points. I just reheated them for lunch topped with goat cheese and a little sweet chili sauce. OMG! Soooo good. This has become a staple in my house, I just love them. i wanted to share how well they freeze if you form the patties and lay them on a parchment lined baking sheet. I usually get about 16 patties from one batch and try to lay them out on the lined sheet so that they are not touching. I put the baking sheet in the freezer and a few hours later I remove it, lift off the frozen patties and store them in a large Ziploc bag in a safe place in the freezer where they won’t get knocked around. When I’m in a hurry in the morning I take out two of the patties, place them on a plate and microwave them on high for one minute while I’m heating up a small skillet. I then fry them in the olive oil misted pan for 3 minutes on each side over a medium high heat. When they are done, I lay them bake on the plate, fry an egg in the same pan and I have a wonderful, protein laden healthy breakfast in no time. Wonderful! I thoroughly enjoyed the patties! I baked instead of fried. 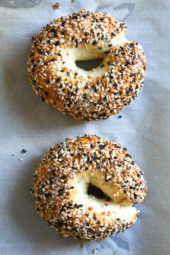 Thinking of making this for Passover, using Matzoh meal instead of breadcrumbs. Has anyone tried making this in a pan instead of patties? If so, how did it turn out? Thanks! These are excellent. No onions on hand, used some onion powder and it was fine. Very good with a little jalapeño ranch on top too. Will try these soon with greens from my CSA box! Thought I had a box of spinach in the freezer, but it was broccoli. The broccoli worked great! 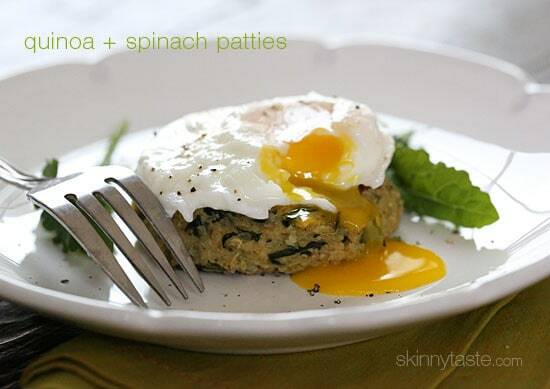 I made these today and used the Patty in Eggs Benedict instead of an english muffin. I made cilantro avocado cream and used that instead of Hollandaise Sauce. Took a slice of tomato, stack it with a slice of avocado, then the patty and then a poached egg and put the avocado cream on top. Family was licking the plates clean. I froze the remaining patties for another meal. These came out great for me! I used a bit less breadcrumbs and a bit more oil. I have made these several times and they are awesome. I didn't have any spinach or green onions the other night so I chopped up a few mini yellow and orange bell peppers. Then I put a medium sweet potato im a vegetti to make thin strips and chopped them into bite sized pieces. I sauteed the peppers and potatoes in a bit of olive oil until soft and added that to the rest of the ingredients. Not sure of the points value but it was so yummy! I made these tonight using chicken broth to cook the quinoa, and I used garlic and herb breadcrumbs. They came out amazing. They almost taste like quiche. These were great! I skipped the olive oil and baked in the oven, about 15 minutes each side and they came out with a really nice texture, just crispy enough on the outside. I also used shredded monterey jack cheese instead of parmesan. Just made this and everyone including my 6 year old loved it! Thanks for the recipe. Has anyone used Panko instead of bread crumbs? Just curious how it turned out. Can you make these as muffins in a muffin tin and bake? These look amazing! Can't wait to try!